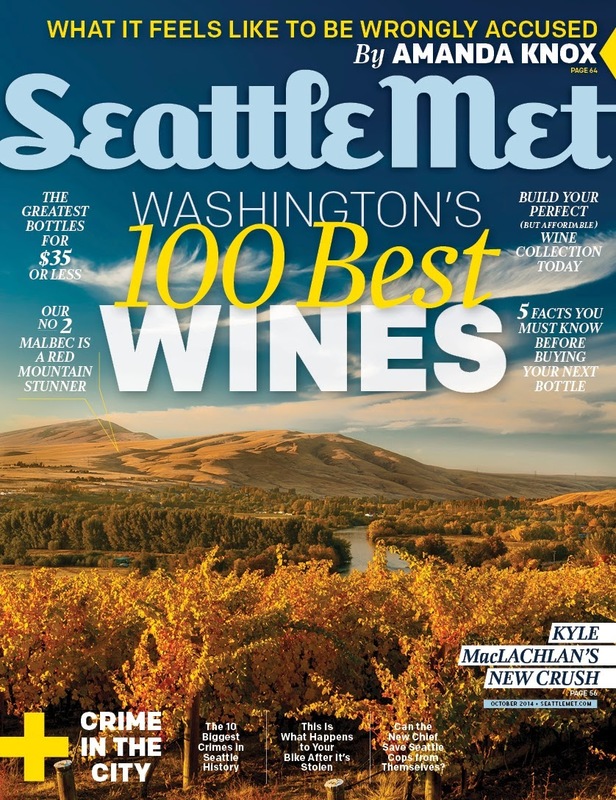 This year's Top 100 Washington wines from Seattle Metropolitan magazine is now available on-line. If you have not already picked up a hard copy, which is still available on newsstands, you can read the electronic version here. The article is broken up into a series of sublists with "jump to" sections below the introduction. In addition to the Top 100, there are also articles on the top wines under $25 and under $15, The Rocks region, and how to taste 700 wines in 13 days. Enjoyed the "Riddle of the Rocks" article. But what's the riddle? You grow grapes in the rocks (district!) - you make wine - it's delicious - it's the rocks.